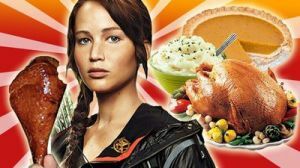 None of the newcomers were able to take away Katniss’ first place thrown over the turkey day weekend. In fact, no one even came close. With a $56.9M second weekend, the movie currently has a $225.6M total. At the moment, Mockingjay Part 1 is flying the same path that Catching Fire did, albeit with a reduced gross. (Weird analogy translation- the third film had an identical second weekend drop as the previous film). At this rate, it could be a nail biter to see how close the franchise pick will come to passing the $330M haul of Guardians of the Galaxy to claim that #1 spot for the year. Let’s go, Hiro and Co.!!! Disney’s animated flick had a spectacular hold against stiff competition to grab another $18.7M to bring it’s total to $167.2M. Technically, if the pic somehow pulled off miniscule drops from now until February, this could play out like Frozen. With that said, don’t expect to see Baymax figures replacing Elsa figures on shelves anytime soon. Never second-guess Christopher Nolan. Even though his newest film had an underwhelming start, this weekends $15.8M haul- up from last weekend- points to a prolific run for the film. What this means is that Interstellar is still a “must-see” film, it’s just not a “must-see opening weekend” film. And as long as the inter-dimensional pic doesn’t get crushed by stiff competition over the month of December, it’s $147M total could add quite a bit of change. And here’s where the really bad news comes in. This unnecessary comedy sequel opened to a tiny $15.7M. Worse? Even it’s five day total of $23M is less than the first films $28M three day weekend. What went wrong here? Well, like I said, the first Horrible Bosses was in no way a film that warranted a sequel. On top of that, there are a lot of other more appealing films out there, and this sequel just did not look strong enough to stand up against the other options. The comedy pic could either get an okay chunk of change under its belt during its run, or it could disappear entirely.